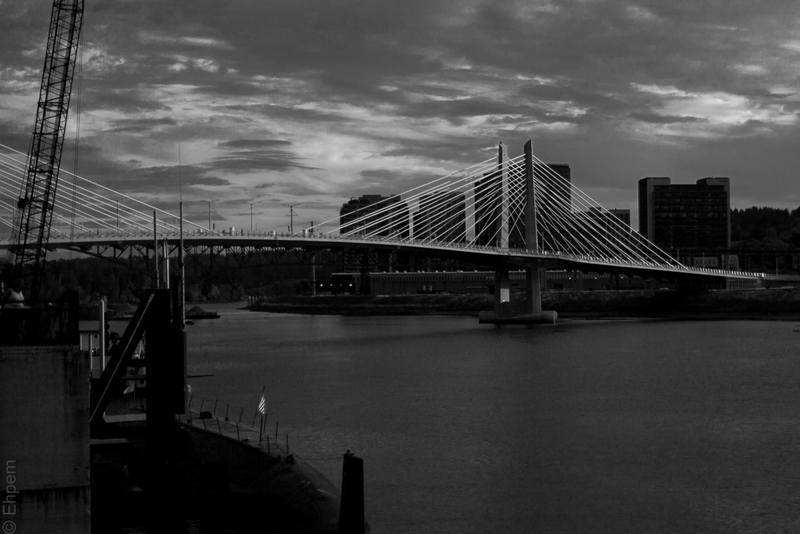 A new bridge in Portland, shot a couple of months ago from the Oregon Museum of Science and Industry. Its called the Tilikum Crossing, and cars are not allowed on it. Light rail, pedestrians, bicycles, city buses and emergency vehicles are allowed.